For a little over a decade - from 1976 to about 1987, the era of arena rock - Foreigner were arguably the biggest band in the world; certainly in a three-way battle with Journey and Styx for that designation. Like those other bands, in the new millennium, Foreigner still toils on the oldies circuit, with a new lead singer and other new members, reliving past glories. 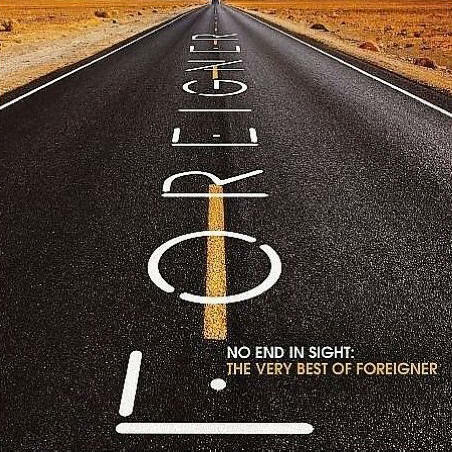 However, No End In Sight, the first two-disk anthology of Foreigner's career (there have been a few single disk compilations over the years) reminds us just how magnificent those glories had been. What is probably forgotten somewhat all these years later is that Foreigner was a hard rock band, because it is mostly their ballads that still get the airplay. However their first three albums were peppered with classic rock touchstones - including the acidic "Cold As Ice," beautifully sulky "Blue Monday, Blue Day," the pissed-off blow-off "Head Games" and the propulsive "Double Vision." However, the band's direction was forever shifted with the second single from 4, the swooningly lovely ballad "Waiting For a Girl Like You." This was Foreigner's salvo in the creation of the power ballad (within a year of the release, Styx recorded "The Best of Times" and Journey did the just as gorgeous "Open Arms."). Interesting/weird trivia fact - the beautiful, ethereal keyboards of "Waiting For a Girl Like You" were provided by a outsider from the band - a then-unknown techno-pop nerd named Thomas Dolby, who would just a year later make his own assault on the pop charts with his sublimely loony single "She Blinded Me With Science." Despite the fact that Foreigner followed their smash with two of their better rock singles - the majestic "Juke Box Hero" and the petulant "Break It Up," they were never really looked at seriously as a rock band again. In fact, after the near perfection of the first disk, which is sequenced chronologically and ends on "Waiting For a Girl Like You," the entire second disk of songs feels like a bit of an afterthought - despite several hits, including the band's biggest, "I Want To Know What Love Is." Still, even if the band is much lighter in the afterglow of "Waiting For A Girl Like You," there are a few appealing middle-of-the-road performances in the later years, including the monster hit "I Want To Know What Love Is," in which Foreigner embraced the balladry that they had only flirted with previously, but they also added a full gospel choir... and it worked. Other pretty closing shots include the morose "That Was Yesterday" and their chart adieu "Until the End of Time." There are four new tracks at the end. "Too Late" is the band's first studio recording since 1994, as well as the first song laid down by the current lineup, which is still seriously missing Gramm's screeching Zep-lite vocals (Gramm left the band for good in 2003.) However, the band has added drummer Jason Bonham, son of real-Zep drummer John. It's fine, and the new group also closes out with live performances of a few Foreigner classics, which pale by comparison to the original recordings - all of which are on this compilation as well. But who are we kidding? No one has really been waiting around for new music by Foreigner - particularly considering that only one member of the band remains from the group's salad days. Granted, Jones was the main songwriter, but Gramm was just as much a part of the band's sound - just check out the two songs here from the 1991 dud album Unusual Heat, made during Gramm's first short-lived divorce from the group. You're not here for the new stuff. You're here for the hits, and No End In Sight has them wall to wall. Just don't be surprised if you end up listening to the first disk a lot more than the second. 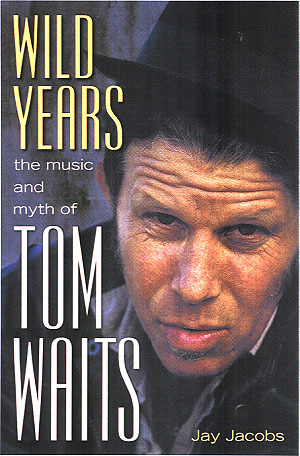 Copyright � 2008 PopEntertainment.com. All rights reserved. Posted July 30, 2008.